Vunabaka is a residential and hotel development in a private tropical island paradise. 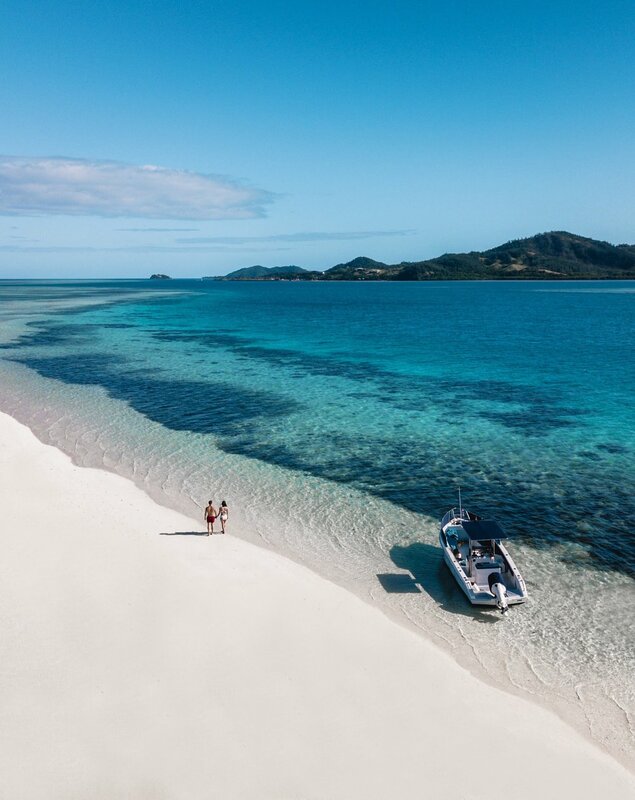 This community encompasses 120 acres of hill-top, marina, ocean, and beach front sites centered around Six Senses Fiji, a luxury boutique hotel. Included in the community are shops, restaurants, bars, fitness centre, tennis court, spa and fully serviced marina. Located amongst world class surf, kitesurfing, diving, fishing, and boating Vunabaka is set up to take care of everything with full or part time staff available, maximizing your water time and fun. Our vision is to create a community that we can all enjoy for generations to come. 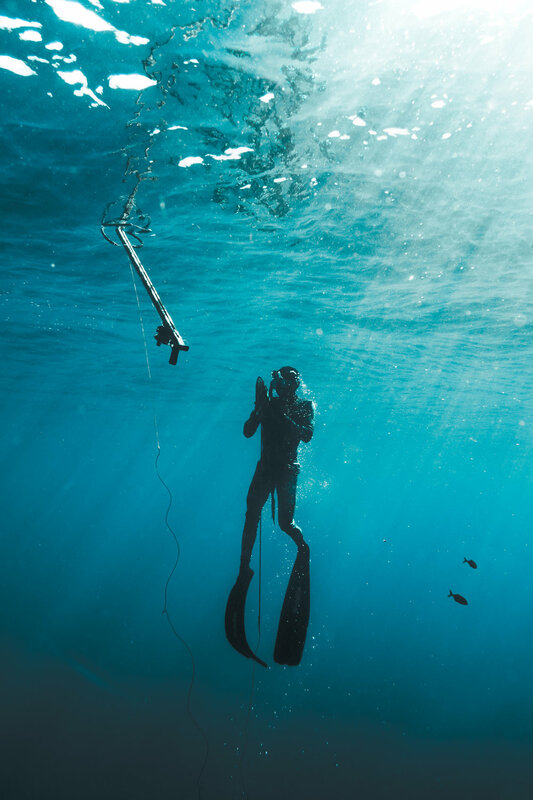 This marina based community will give residents and guests open access to all ocean based activities while Six Senses Fiji will help ensure the entire community runs efficiently and professionally. The key to our vision is building a community that is focused on long term sustainability, and one that emphasizes adding beauty to our lives. Vunabaka takes great pride in learning your families’ individual preferences and anticipating your every need. Six Senses Fiji will manage and coordinate your itinerary and facilitate arrangements necessary to ensure your stay is seamless and effortless. Build or purchase a residence at Vunabaka and you will become an owner at one of the most exclusive and activity rich enclaves in the South Pacific. Invite friends or take the family, you can do as much as you like or practice the fine art of doing nothing at all. Blending luxury with the intimacy and warmth of a close knit neighbourhood Vunabaka provides all the ingredients to relax, recharge, and explore where days pass effortlessly and the ocean is your playground. You can have it all at Vunabaka! "Six Senses Fiji is a luxury boutique resort, understated and rich in integrity, allowing the magic of the Fijian culture to be celebrated in a simplistic grandeur." The property includes a superb range of culinary and beverage offerings, including two restaurants plus an outdoor pizzeria and grill, two bar options, a gourmet deli, and an ice creamery all set amongst tropical landscape. Locally inspired and sustainably sourced, the resort’s cuisine features ingredients grown onsite in the resort garden and from local farmers, markets and fishermen. Six Senses Spa Fiji is featured within the resort’s Wellness Village, where guests enjoy a layered approach to wellness that unites a pioneering spirit with treatments that go beyond ordinary. The resort also includes a treetop yoga platform, state of the art fitness gym, recreation clubhouse with tennis court and the comprehensive 'grow with Six Senses' kids club. 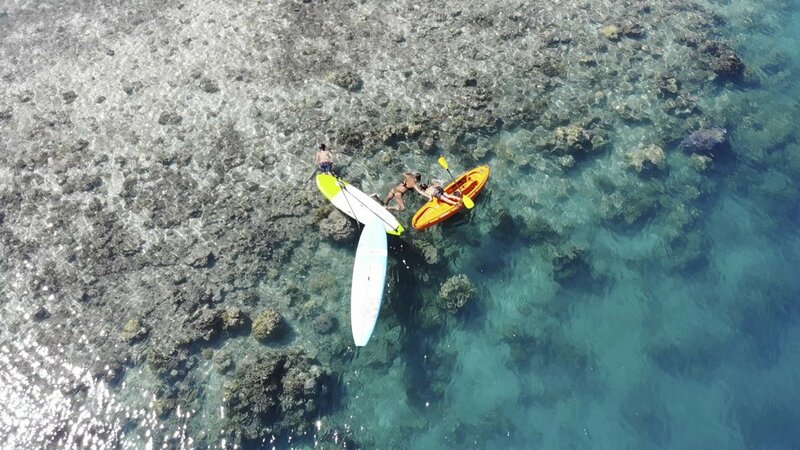 Other activities on offer include world class surfing at the infamous Cloud Break and numerous other breaks in the vicinity, boating, sailing, diving, snorkeling and sea kayaking. A fully serviced marina is located within the resort and is available for guest's private yachts as well as leisure / charter boats. Vunabaka is located in the Mamanuca Group of Islands in Fiji and casually sit a few miles offshore from Viti Levu, Fiji's largest island. One of the main advantages of our location is our proximity to the international airport at Nadi. Travel to Vunabaka from Nadi is a mere 45 minutes by private boat or ferry and only 10 minutes by helicopter. Fiji is located in the Southern Hemisphere and is known for it's blue skies, aqua water, white beaches and picturesque sunsets. Summer begins in early December and lasts until early April with temperatures around 32 degrees Celsius. During this time you can experience hot, humid weather, with bright sunny mornings and the occasional welcomed afternoon shower. April to November known as the 'dry season' offers slightly cooler temperatures aided by the light trade winds which makes a great time of the year to experience some of the best sailing, surfing and kite surfing in the world. You can expect pristine weather, infrequent rainfall and average temperatures of around 28 degrees Celsius. Despite it's popularity, Fijian weather is still one of the best kept secrets in the South Pacific. Vunabaka's location on Malolo Island delivers some of the best weather in all of Fiji, so don't hesitate to experience it first hand. want your own slice of paradise? The two fundamental types of interests in land which can be registered in Fiji are a freehold interest in land (which denotes ownership of the land) and a lease hold interest in land (where the right to exclusively occupy land for a period of time is granted). In Fiji freehold or leasehold is via a Torrens title land-registration system with the title guaranteed by the State. What is the type of property ownership at Vunabaka? Vunabaka is leasehold land. The developer, Vunabaka Bay Fiji Limited (VBFL) has entered a lease with the itaukei Land Trust Board (iTLTB) and a Foreshore Lease with the Fijian Department of Lands. A separate sublease will be registered and transferred to you for the part of Vunabaka where your property is situated. The sublease will be for the term of the Head Lease less one day. The Head Lease is for 99 years with right of renewal for a further 99 years under substantially the same terms and conditions. Terms of the sublease mirror the head lease. The sub lease has been approved by ITLTB and DOL. What happens to my lease if VBFL transfers the Head Lease to another party or the Head Lease is cancelled? In the event that the Head lease is deemed defective and/or cancelled before the expiry of the full term of the Head lease, the iTLTB and Lands Department will legally recognize the sub-lease for the remainder of its full term under the same terms and conditions. You do not need to be a citizen of Fiji to purchase land in Fiji. Non-resident investors can purchase real estate. Once you decide to purchase a Lot you will execute an option agreement or a pre-contract agreement. The option if used is the vendors option and triggered by the requirement to obtain consent to sub-lease from ITLTB/DOL. When the DOL approval is given the substantive agreement will be executed and settlement will be within 15 days of signing. On settlement you will receive a sub lease in the name of your nominated entity and such entity will become a member of the body corporate. Can I purchase in the name of my family trust or my company? Yes. In the case of family trusts, the trustees themselves will have to sign the option/pre contract agreement and the power of attorney attached to the Sale Agreements and will be liable on behalf of the trust. While, for legal reasons, the name of the family trust itself cannot appear on the registered ownership documentation you will acquire, the trustees are perfectly entitled to themselves hold their ownership interest for trust purposes. In the case of a company, purchasers can choose either to establish a Fiji company to hold their investment, or to use an existing or new company established in some other country such as Australia or New Zealand. Is there stamp duty payable? Stamp duty is payable on all conveyances of real estate property prior to settlement. It is set at USD$750 because we are an integrated tourism development and it's the first transfer from developer to purchaser. How much are legal fees for conveyance? Legal fees for conveyance and obtaining appropriate government approvals for non-resident purchasers are approximately US$4,000. Is there a VAT (Value Added Tax) or GST (Goods and Services Tax) payable on good and services in Fiji? Yes, currently the VAT payable on goods and services in Fiji is 9% which you will have to pay when purchasing land at Vunabaka. Should you purchase for investment purposes, you may be able to claim a refund on the VAT. While I have my property at Vunabaka do I get automatic residency in Fiji, or do I have to apply? An investment in Vunabaka does not automatically give you a VISA but you can apply. Can I work in Fiji if I own a property, or is this a separate application? No, a work permit is required. If I don't have residency, how long can I stay in Fiji? 4 months stay for holiday purposes are given upon arrival for countries that do not require a visa. Australia, NZ, USA and such are visa on arrival. Is there a time period I have to build within after my sublease is signed? Yes, you are expected to have completed building the villa within 2 years of purchasing the sublease. Does Vunabaka have a recommended designer and construction company? Yes. Richard Priest is the approved architect completing these designs. VBFL can also coordinate all building and landscaping requirements saving cost, time and hassle. Can we use our own architect, landscaper, and builder? VBFL wishes to create a strong sense of identity and consistency of design aesthetic. Detailed architectural plans, elevations, landscape plans, colour scheme and model are required if you wish to use your own architect and construction company. Your own architect and/or builder will need to comply with the directions provided by VBFL and will need to obtain approval from VBFL. What are the expected villa build costs? Building costs per villa will be approx $US3,000—$4,000 per m2. plus VAT depending on level of specifications. Pool and landscaping will be an additional cost. A more detailed breakdown of costs are available upon request. Are lines of sight protected? Yes, buildings or landscaping cannot be constructed or grown to unreasonably block neighbouring land or property view. This will be covered within the body corporate. What infrastructure exists at Vunabaka such as power, water, and wastewater? Infrastructure includes water, solar power, gas, and fibre telecommunications. How is marina space allocated and what does it cost? Each Lot includes water rights for a marina jetty of up to 9m. Each homeowner will pay for the floating structure. It is expected that each pontoon and jetty will cost approximately $US 30,000 plus VAT depending on size. This will be charged at the same time utilities are charged. The license for the space will be for the same duration as the land (i.e 99 years) and not the standard 25 -30 years given to most marina berths. Bigger marina berths are available, but there will be an additional charge for the space and floating structure. VBFL will allocate the spaces to each Lot depending on the location of the Lot and what spaces are currently available. Can I get insurance for the villa? Yes, as long as the design has been certified by an approved engineer in Fiji. All VBFLs designs will be approved by a certified engineer and all villa owners are expected to maintain relevant insurance cover. How can we furnish the property? If the property is in the hotel rental pool, furnishings and fittings as they will need to meet the requirements for commercial operations. This will be discussed with you during the design process. VBFL can provide interior design and furniture, fixtures and fittings packages saving cost, time and hassle. Can you recommend a type of boat and golf cart? Yes, VBFL will be coordinating the purchase of boats, golf carts, and other sporting equipment. Various options will be provided by VBFL depending on your requirements and budget, saving cost, time and hassle. For instance there will be no combustion engine vehicles allowed, apart from service vehicles required for the hotel and Body corporate manager. All other vehicles must be battery powered. Can I use the Six Senses Fiji Facilities and the beach? Yes, property owners are entitled to use all the resort facilities including food and beverage options, activities, kids club and babysitting services. Villa owners will have access to the beach via the resort and specified access roads. What water based activities are available at Vunabaka? Water based activities include world-class surfing, sailing, scuba diving, kite-surfing, windsurfing, snorkeling, stand up paddling, boating, sea kayaking, game fishing and anything else you can think of. What land based activities are available at Vunabaka? Land based activities include tennis, running, walking, yoga and mediation, tropical island adventure picnics, massage therapy, golf on the mainland, helicopter tours and even sky diving. What is our entitlement for usage per annum? You can use the property as much or as little as you like. How are utilities priced and charged? For fair use there are no charges for use of water (80,000 litres per month) and power (32 kWh per day)/ There will be body corporate charges which covers the maintenance and operation of all common facilities. Who will run the body corporate? VBFL the development company also owns 79% of the company responsible for the body corporate and the remaining 21% is owned by the three local Mataqali (clans). This company is called Liku Bay Resort Management Company Limited (LBRMCL) and it will also run the general store and other retail within the development. This ensures that local Mataqali benefit from the ongoing operations of the resort. The body corporate will enter into a management agreement with LBRMLC. What does the body corporate cover and how much is it? The body corporate will cover the maintenance and up keep of all common areas, beach cleaning, common lighting, road upkeep and cover services, but not limited to, such as security, rubbish disposal. Body corporate will be will be charged on a cost recovery basis plus a 15% margin. What happens to the resort if it is damaged in a cyclone? All villa owners and the hotel are required to hold adequate insurance and are required to re build within 2 years of any buildings being damaged. LBRMCL will also maintain adequate insurance for the common areas and store. What happens if I have a dispute or disagreement relating to the Body Corporate? LBRMCL will make every effort to listen and work through any ideas for improvement or issues raised by villa owners. If agreement cannot be reached an arbitration process will be followed. How can I organize repairs and maintenance on the property? LBRMCL can organize repairs and maintenance on the property saving cost, time and hassle. Prices will kept to a minimum and will be based on cost recovery plus 15% margin. What general housekeeping, garden, and pool maintenance services are provided and how much do they cost? What Food, Beverage, and Other retail supplies will be available at Vunabaka? VBFL will own and operate a general store that provides all general household provisions including food, alcohol, fresh fruits and vegetables, cleaning products etc. Retail space will also be leased to Fiji’s top retail operators. The Six Senses Fiji will operate world-class restaurants and bars. Villa owners will be allowed to own and operate electric Golf Carts. In order to minimize noise and maximize enjoyment other types of vehicles will not be allowed. How can I organize transfers from Nadi International Airport to the island? The Six Senses Fiji will provide both ferry, water taxi, and helicopter transfers. Alternatively, your own private boat can pick you up. LBRMCL will install and operate a Tsunami warning system. Fire control apparatus will also be owned and operated by both The Six Senses Fiji and LBRMCL. Helicopter evacuation can be organized to a private hospital in Lautoka or Suva in the case of medical emergencies. Do I have a say in management of LBRMCL or the Island Grace? The Six Senses Fiji and LBRMCL value your feedback and will want to know if you have suggestions to make the resort more advantageous for everyone. You can choose to either keep your property for personal use only or make it available for the resort rental pool. 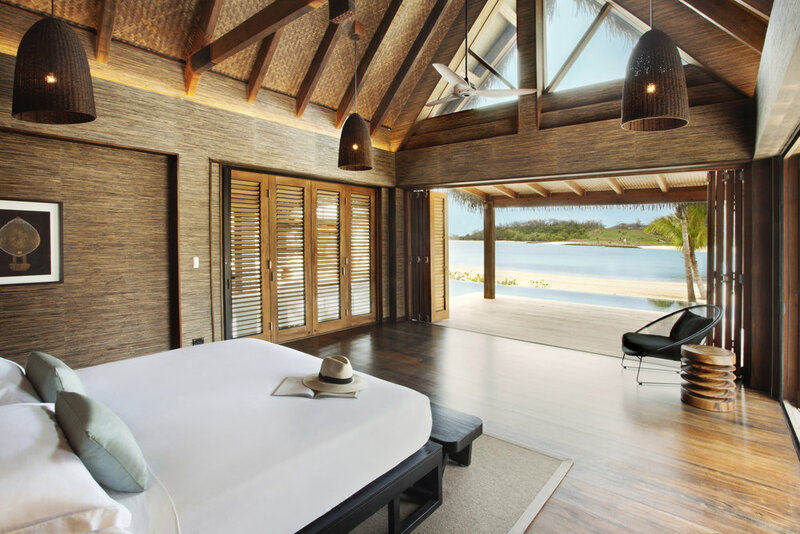 A Rental Management Agreement will be entered with the LBRMCL and operated by the Six Senses Fiji. All rental income has to be through the Six Senses Fiji. Prices for each villa will be set by the Six Senses Fiji and the property must meet standards set by Rental Management Agreement. Should you decide to rent your villa you will need to get a foreign investment certificate from Investment Fiji the statutory authority charged with allowing foreigners to carry on business in Fiji. The approval process takes about 6 weeks. You should speak to your lawyer regarding this aspect of your investment. Will we receive an annual return of investment? It is our intention that you will receive a return on investment. The return generated will fluctuate depending on the achieved occupancy, villa rate, availability to the rental pool and operational costs. A return on investment will not be available if your property is not in the resort rental pool. What rental returns can we expect? Returns on investment are dependent on resort occupancy rates, room rates, availability in the resort rental pool and operational costs. Detailed expected returns are available upon request. How will the Six Senses Fiji market my property? The Six Senses Fiji have a wide range of media channels supporting and growing the brand that drives your investment. What insurance cover do I need if the Six Senses Fiji manages the property? It is a requirement of the Six Senses Fiji letting agreement that all Owners have adequate Landlords insurance. This type of insurance is specifically for investors with rental properties and most policies include the Owner for cover such as contents (damage and against fire, theft by tenant), loss of rent and public liability. Are there any ongoing charges? Yes. As with any property investment, ownership costs accrue including body corporate fees, landlord insurance, general maintenance, repairs etc. Can I remit my profits to my location of choice outside of Fiji? Over these limits require approval from the Reserve Bank and approval is easily obtained if all taxes in Fiji have been paid. Villa owners can sell their villa at any time after settlement, subject to the terms of the Sublease agreement and obtaining all necessary Fijian regulatory approvals. To ensure the Mataqali continue to benefit from Vunabaka a payment of 1% of the original land purchase price is paid to the Mataqali if the sublease is sold within 10 years, and after 10 years 1% is paid on the land purchase price plus an inflationary adjustment specified in the Sublease. Is there capital gains tax when I sell my villa? Currently, capital sales are subject to a 10% capital gains tax. Can I remit my proceeds of sale to my location of choice outside of Fiji? How do locals benefit from my purchase at Vunabaka? 10% of the purchase price goes to the Mataqali and 1% (inflation adjusted after 10 years) of the initial land value for subsequent sales. The Mataqali also own 21% of LBRMCL and in addition to this ownership receive up to 10% of gross income generated by LBRMCL. Local staff will be trained and employed where ever possible. How is Vunabaka protecting the environment and natural beauty of Fiji? Green technologies and designs are being used throughout the resort from solar power generation through to low energy waste water processing. All development will adhere to strict Environmental controls. VBFL is also replanting Fijian Kauri around surrounding hillsides and has begun extensive coral and marine life propagation program. The main marina is divided into two sections, A and B. Marina A will now accommodate most yachts and almost all motorboats up to 25 meters at all tides. Marina A's new maximum depth is 4.65m at the Highest Astronomical Tide and 2.35 at Chart Datum (Lowest Astronomical Tide). Depths at Mean High Water Neap are 3.95m and Mean Low Water Neap are 3.05m. The Vunabaka marina is designed to exceed the PIANC (The World Association for Waterborne Transport Infrastructure) and Australian design standards. Construction of the marina was completed in October, 2014 and can accommodate 56 vessels. Each site purchased at Vunabaka includes a marina berth for up to a 10 meter vessel.